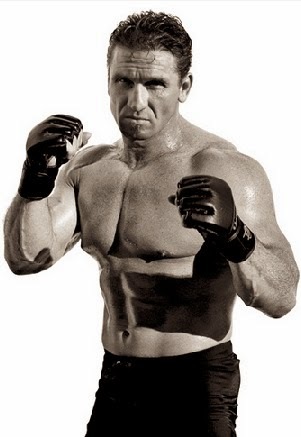 On this edition of No Holds Barred, host Eddie Goldman once again spoke with MMA pioneer and legend Ken Shamrock. A veteran of the early days of MMA, the first King of Pancrase, and known especially for his skill with submissions, Ken Shamrock, now 50 years old, is embarking on yet another pioneering venture: to become a champion in bare-knuckle boxing. His debut fight is slated to take place this April in the U.K. against bare-knuckle boxing legend James Quinn, at a date and location to be announced. It is also planned for this fight to be shown on pay-per-view, with details forthcoming. We spoke with Ken Shamrock by phone Tuesday. Just like he articulately defended MMA in its formative days against various detractors, Ken Shamrock is defending this latest incarnation of bare-knuckle boxing, both for its relative safety and as an art form. Gloves in both boxing and MMA were introduced, he said, "under the same myth that I believe, is to try and make it safer. And I thought to myself, 'Safer for who?'" He explained, "It's really not to protect the guy getting punched. It's really to protect the guy that's doing the punching and make it more exciting for the fans to get more knockouts and be able to have the fighters sustain their career longer without breaking their hands and having to retire." Bare-knuckle boxing, he said, makes "fighters become more articulate and more accurate and more cautious about letting their hands fly, holding back some of the power that they may have, to be able to land strikes that are going to be perfect and not miss their target. Because if they do, the consequences are whether they could lose the fight because they broke their hand." Similarly, he argued that when gloves were brought into MMA, "They took away the purity of submissions," and made it harder to win by submission. We also discussed how he feels "rejuvenated" and "better than I have in the last 15 years", how bare-knuckle boxing is legal in the U.K. although unregulated, the development of the rules for this 21st century version of bare-knuckle boxing, why MMA today only has an "edge" in safety over gloved boxing, why history shows that bare-knuckle boxing is safer than gloved boxing, why bare-knuckle boxing will be "more exciting" than MMA, his views on the potential of submission wrestling and catch wrestling, his plans for training for this fight, and much more. In addition, we commented on the passing of another MMA pioneer, Phyllis Lee, who was known as the "First Lady of NHB". Payleg.com, which gives you the tools to develop a full-time income by building a home-based business. Teaching success in the home-based business industry since 1988, Payleg.com is available in 190 countries. For more information, go to Payleg.com.